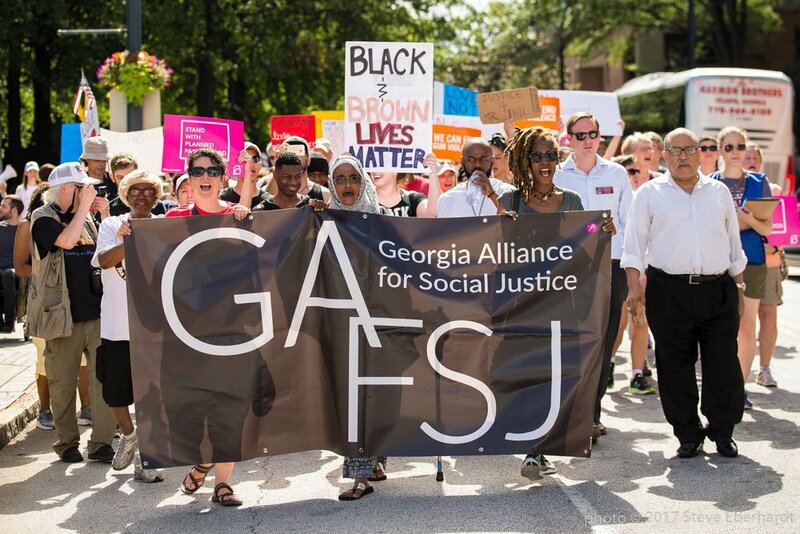 The Human Rights Campaign Atlanta Steering Committee presents this award each year to the individual or group who offers distinguished service and leadership for the gay, lesbian, bisexual and transgender community. This award recognizes the outstanding efforts of those who dedicate not only substantial time and energy, but also spirit and whole-hearted commitment to advance the fight for our civil rights. Appreciating our current leadership will foster others to follow in their footsteps. Leon Allen and Winston Johnson were founders of the Atlanta HRC Dinner. As one of the founders of Human Rights Campaign Fund in 1980, Dan Bradley distinguished himself through his career as a courageous champion of civil rights. As president of the Legal Services Corporation, Dan was the highest-ranking Presidential appointee ever to acknowledge his homosexuality. That act of bravery set the stage for an impressive string of national media appearances and Dan’s activism on the boards of many national and local organizations. Dan was the inspiration behind the historic June 1, 1987 demonstration at the White House and proudly led 64 gay and lesbian leaders to jail in a symbolic act of civil disobedience. A native of Georgia and a graduate of Mercer University, Dan passed away in January 1988 at the age of 47. This award is bestowed upon an individual or group who continues Dan Bradley’s tradition of activism and service to the gay, lesbian, bisexual and transgender community. 2003 — Kathy Colbenson, CEO, Chris Homes, Inc.
2002 — The Atlanta Games, Inc.